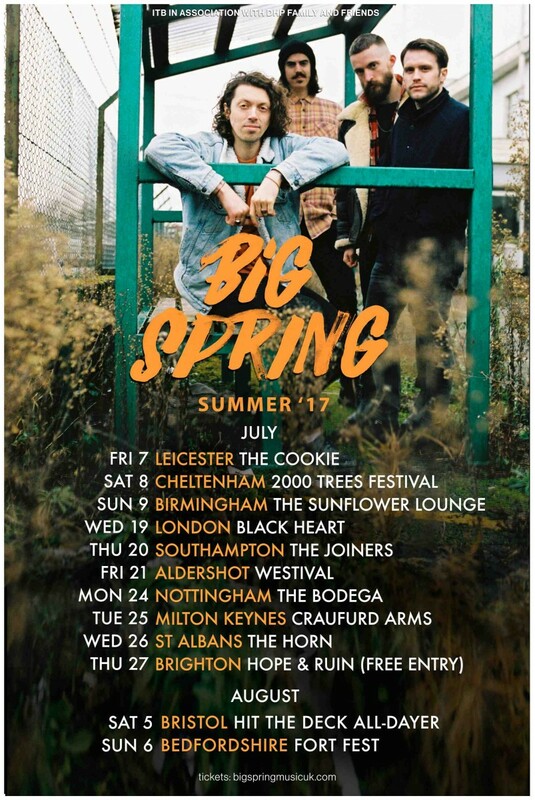 Big Spring Announce First Headline Tour - art noise. Big Spring have just announced their first ever headline tour as a band. They will kick things off in Leicester on July 7th and tour across the country throughout the month. Big Spring will be wrapping things up at Brighton’s Hope & Ruin on 27th July (with a FREE ENTRY show! ), shortly after they play the Black Heart in Camden, on 19th July. Showing no sign of slowing down, the Brighton four-piece will also be playing 2000 Trees Festival, Hit The Deck and Fort Fest this Summer.